Basketball - Broadcaster. Comedian. Writer. Host. Voice artist. Full fourth quarter play-by-play from the 2015 Wyoming Class 4A boys' state basketball tournament in Casper between Evanston and Cheyenne East. A chat with Evanston head coach Roy Barker after the host Red Devils avenged an earlier road loss to perennial Wyoming prep power Natrona County on Saturday 21 February 2015. Hoops highlights from the first half of the opening round of the 2015 Wyoming Class 4A West regional boys' basketball tournament in Evanston, WY, between tourney host Evanston and Natrona County. 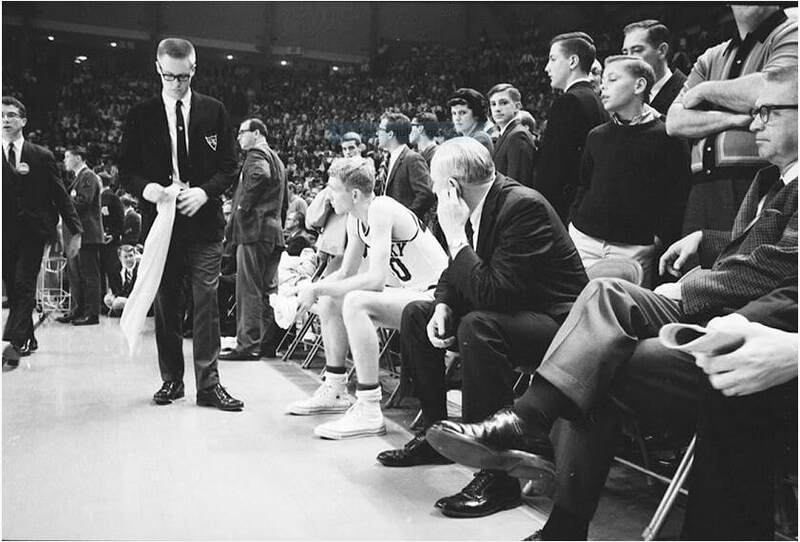 My father, standing, is to the right of Coach Rupp, seated, left hand scratching his ear.